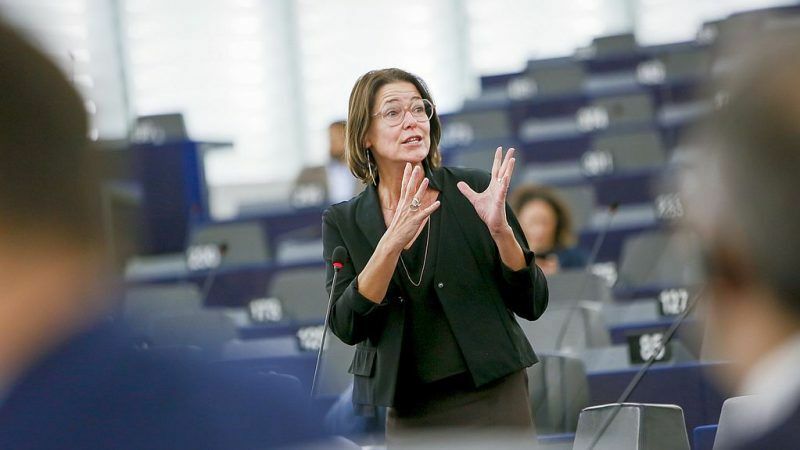 Kathleen Van Brempt is an MEP for the Belgian Socialistische Partij Anders and of the Party of European Socialists. This interview has originally been published on EuroCité’s website. Greatest success of the 2014-2019 parliamentary term (collective or personal)? To be able to understand some of the drastic changes we accomplished, we have to go back in time and grasp the atmosphere at the start of the Juncker Commission. Remember the Commission’s ambitious Refit program launched in the Better Regulation communication which would reduce regulatory burden and get rid of red tape. With it, the Commission responded to the growing nationalist criticism on “an ever closer Union” which would threaten national sovereignty. The Commission promised to refrain from regulating details – after criticism that Europe wanted to ban reusable olive oil bottles in restaurants – and so they withdrew… the Clean Air Package and the Waste Package! By doing so, the Commission renounced the shared European responsibility to clean up our skies and recycle our garbage. The Commission’s Refit Program risked becoming deregulation disguised as better regulation. I am proud to say that it was my group leading the resistance against these devastating evolutions. Parliament straightened its back and sent out a clear message: No way, we need to proceed with cleaning up the air and evolving towards a circular economy. 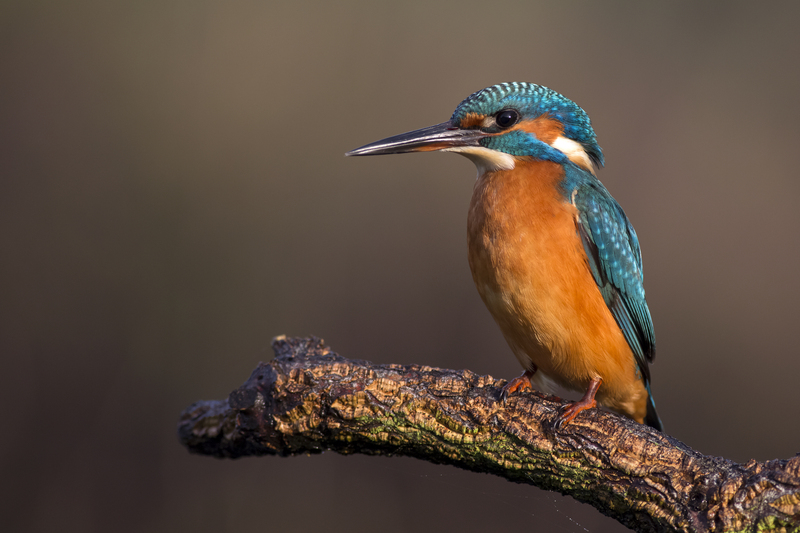 More than 100 environmental NGOs said on Tuesday (12 May) that they feared the European Commission may use its better regulation programme to cut nature protection laws. Parliament’s resistance has become a success story: we lowered national emission ceilings for 2030 and put the Waste Package back on the agenda, enforcing stricter goals for 2030 and embedded them in a broader circular economy policy. We were able to sharpen the goals for renewable energy and energy efficiency. By 2030 more energy will be saved and more will be produced from renewable sources than proposed by the Commission and the Council. For me, this is one of the major achievements of the past legislature. But what then is the gain for common working people? The fight for clean air and the Paris climate goals is deeply social. The people most affected by climate change or bad air quality tend to be the poor, the elderly, children and families. Climate change could lead to a humanitarian crisis of epic proportions. It is therefore important that progressive forces remain vigilant when conservatives, under the guise of better regulation, threaten the future of common working people, in Europe and elsewhere. Greatest failure of the 2014-2019 parliamentary term? Is there something you regret? There were, of course, several dramatic failures during the past legislation: Brexit, to name one, the crisis of democracy to name another. But for me, the inability of member states to manage the migration crisis qualifies as the number one failure. We should not be naïve; migration is a complex matter without simple solutions or answers. But one thing is crystal clear; without solidarity, Europe will not make any progress on migration and asylum reforms. We have witnessed Nimby-nationalism in its worst form leading to a standstill in a dossier where thousands of people have died; 13,000 since 2014 in Europe. It is unacceptable that leaders are playing politics with human lives for electoral reasons. The basic problem is the refusal to take steps in the reform of the Dublin regulation, which reflects an outdated nation-state view on Europe: each nation is responsible for “its own migrants.” In today’s world, Europe as a Union should take responsibility for those seeking refuge against war and oppression. United we stand, divided we fall. Any forecast for your political family for 2019’s European elections? I have learned not to make forecasts in politics. They might be wrong, and they often are. It is, however, no secret that social democracy is having a hard time in Europe. We will be losing our British Labour friends and some of our member state parties have suffered losses. But, contrary to what some analysts write, I don’t think we are witnessing a crisis of the Left but of the political centre, the place where people tend to meet one another and find compromises. The erosion of the political centre and, consequently, the polarisation towards the extremes is deeply concerning and threatening liberal democracy in Europe. Greatest challenges for the EU for the 2019-2024 parliamentary term? Migration and asylum policy will stay high on the agenda. With the British leaving the EU, Europe will need to take a fresh look at its budget and finally agree on increasing its own resources, freeing the EU from political horse-trading with member states. We should keep on working on tax reforms and tax frauds, assuring citizens that multinationals pay their fair share of taxes. Fair and substantial taxes also mean that we need a tax shift towards a greener taxation where we “tax what we burn and not what we earn.” It is possible to create economic prosperity for all while making the shift towards a new and sustainable economic model. When nationalists and Eurosceptics are using identity politics as an electoral weapon, we are often too timid to give a strong European answer. We avoid the question of identity, although we know that a growing number of young Europeans not only accept that a European identity exists, but are proud of it. European values act as a glue, uniting people of different backgrounds, not only in the EU as a whole, but in our cities as well, where a growing super-diversity resembles the diversity in the Union. We should foster this emerging European identity built on European values, not as a replacement for ethnic, cultural or religious diversity, but as a bridge enabling differences to flourish in solidarity. What will the EU look like in 2030? My hopes are pinned on the young generations. The Erasmus-generation of today will then be in a position to take responsibility. The young generations in Britain did not want Brexit. Of course, young people are very critical towards EU-policy, and they are right to do so. But they have experienced the possibilities of the Union while studying working, travelling, exchanging views and ideas. They know the EU is more than an economic marketplace, and is therefore in need of more than economic policy, it needs a strong social and political pillar. The drawings for the foundations have been made during this legislature, we can start building during the next one. It is time Europe harvests the full potential of its rich diversity, which can only thrive when all of us feel connected, valued and protected as Europeans. Like Medusa, immigration has many heads – and a mirror could be the weapon. If we think about the flow of arms, fuel and the knock-on effects such as climate change the tidal wave of light arms that spreads through the African subcontinent at each carefully orchestrated mega-sale of oil..we start to develop a picture of what is really driving the flow of migrants as the many threats we impose on them start to upset rural life and become problems we have to deal with at home due to bad policy, and other affairs. Russia has a similarly poor record when we imagine the many migrants we have caused through literally ‘pretending’ to have any responsibility whatsoever in a world where the sole purpose of these miscreants is to destroy Europe, be lazy, hurt as many people as they can and hopefully kill hundreds if not thousands of millions of otherwise not-interested peoples in order to avoid doing work of any value considering the financial and technological superiority of all and every alternative to imports. This is not going to be allowed by the voters UNLESS access to Europe is blocked for economic migrants AND sufficient mechanics are in place to limit the number of refugees to a manageable number.